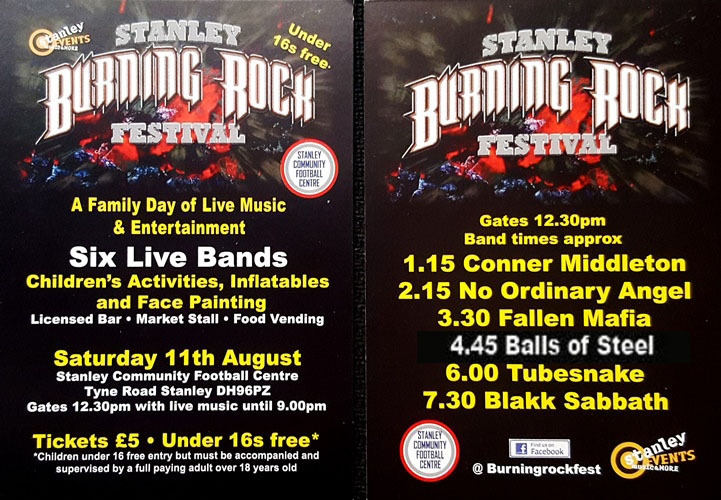 Now in its third year, we have been invited to play the Stanley Burning Rock Festival. A one day music festival featuring six live bands playing in a huge marquee fully covering the stage and audience. TUBESNAKE will perform an hour long set starting at 6pm. Tickets are available at £5 from the venue itself and Tubesnake also have a bunch to sell. Failing that, pay £6 at the gate on the day. "I'll tell you this ... No eternal reward will forgive us now for wasting the dawn."